Many late model and European vehicles are fitted with a specific style of antenna plug which can add another hoop to jump through when upgrading to an aftermarket stereo headunit. Luckily, the team at Aerpro have you covered with their range of plug & Play Antenna Adapters which convert the vehicles specific antenna plug to a standard plug (DIN), suitable for most aftermarket headunits. 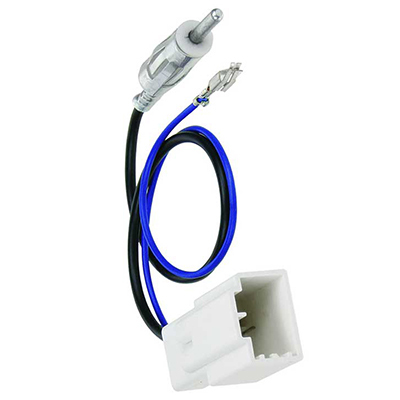 The Aerpro APA75 Antenna Adaptor suits most popular late model Toyota, Subaru & Lexus models and includes an antenna amplifier trigger wire.